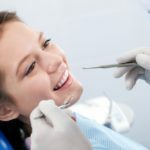 Home » Blog » Dental Treatment » Cracked Tooth Syndrome definitely exists! Cracked Tooth Syndrome definitely exists! 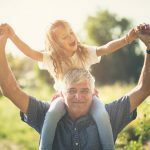 Teeth are fracturing today in record numbers and are now reputed to be the third leading cause of tooth loss. 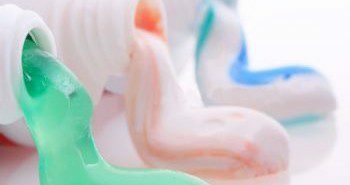 This increase is due to several factors including longer life spans (older, brittle teeth tend to crack more) and higher stress levels that may lead to increased teeth clenching and grinding. Early diagnosis is critical — if your dentist can detect a crack while it’s small, treatment can usually save a tooth. Yes, Cracked Tooth Syndrome is a real problem that’s often quite difficult to diagnose. The term “syndrome” refers to the association of several clinical signs (discovered by the dentist) and symptoms (reported by the patient), which often occur together. 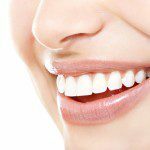 Because the signs and symptoms vary in cracked tooth syndrome, diagnosis , actually pinpointing the problem tooth (or teeth), can be difficult. It presents itself in many phases: craze lines, cracks, fractures and sometimes vertical splits. Craze lines are mini cracks in just the outer surface of the tooth (enamel). 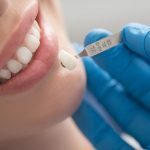 Although not an immediate danger to the tooth, craze lines can lead to true cracks in the enamel that actually penetrate into the dentin layer (the body of the tooth). This in turn can lead to a very serious condition called a fracture/split where the crack may extend deep into the root of the tooth. It goes without saying that the deeper the crack extends, the worse the symptoms. The most serious condition is a fracture that exposes the nerve of the tooth, this must be assessed and treated as soon as possible if there is to be any chance of saving the tooth. A vertical split in a tooth is not salvageable. Cracks or impending fractures in teeth are usually too small to be seen on x-rays, so dentists must use other methods. Sometimes crack detection requires high magnification instruments. 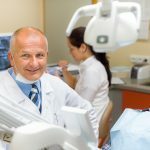 Most endodontists (root canal specialists) use microscopes as a routine part of their practice and are very good at detecting cracks and fractures. 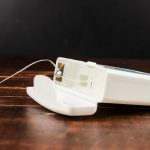 Endodontists can also assess whether a crack has involved the nerve within a tooth and whether root canal treatment is needed to relieve the pain and symptoms. 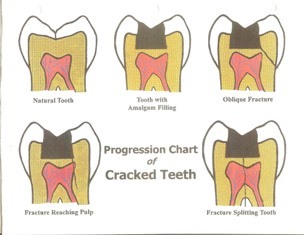 Symptoms will vary depending on the location of the crack in a tooth and what other structures are involved. If a crack involves the outside of the tooth (periodontal structures, gums, periodontal ligament and bone) a different set of symptoms will occur than if a crack involves the inside of the tooth (the pulp chamber containing the nerve). A sharp, intense pain of short duration during chewing and upon release of food usually indicates a crack in a “vital” tooth, in which the nerve has not been affected. If a crack reaches the nerve it will become an avenue for infection. The pulp tissue housing the nerve then becomes inflamed and sensitive to temperature changes. The earlier a crack is detected and the more superficial it is, the simpler it will be to repair. Cracks in teeth without a living nerve give vague symptoms and the origin of the pain is often difficult to locate until the tissues around the teeth are affected. 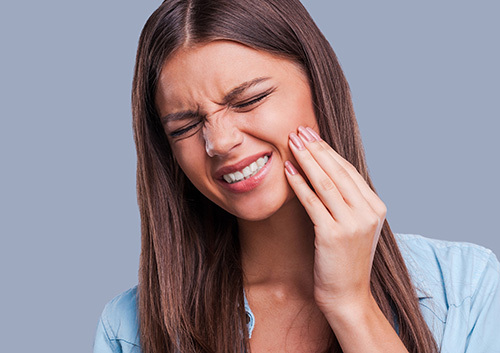 If a crack involves the periodontal structures (the gum, periodontal ligament and bone), symptoms may include tenderness around the tooth, easily identifying what tooth is hurting. When a crack increases and becomes a true fracture, the symptoms intensify. If located in the crown of the tooth, a piece of the tooth may cleave off and be quite sensitive to temperature change and sweet foods. If the crack is located in the root, the patient will experience pain of increasing intensity and feel it particularly if infection sets in. So, the earlier a crack is detected and the more superficial it is, the simpler it will be to repair it. Treatment is always based on a proper diagnosis. It could be as simple as replacing the lost tooth structure, or covering the crack or fracture with appropriate restorative materials. If the nerve is involved, it might mean root canal treatment and protection of the tooth with a crown (cap). Another suggestion your dentist may have, is that you consider wearing an occlusal (bite) guard to protect your teeth from clenching and/or grinding (bruxism) which may very well be occurring subconsciously. 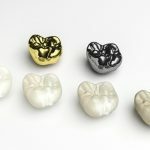 At worst, if the tooth is not salvageable it will mean tooth loss and replacement. This is an overview of a complex problem. Please talk to us and come and see your dentist as soon as possible. It may mean saving a tooth.